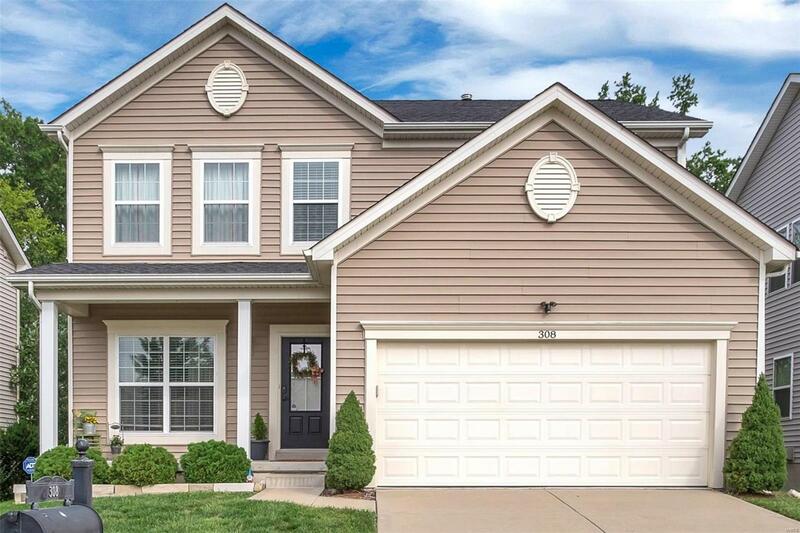 Move in ready and shows terrific, Open 2 story floor plan in desirable Countryshire. 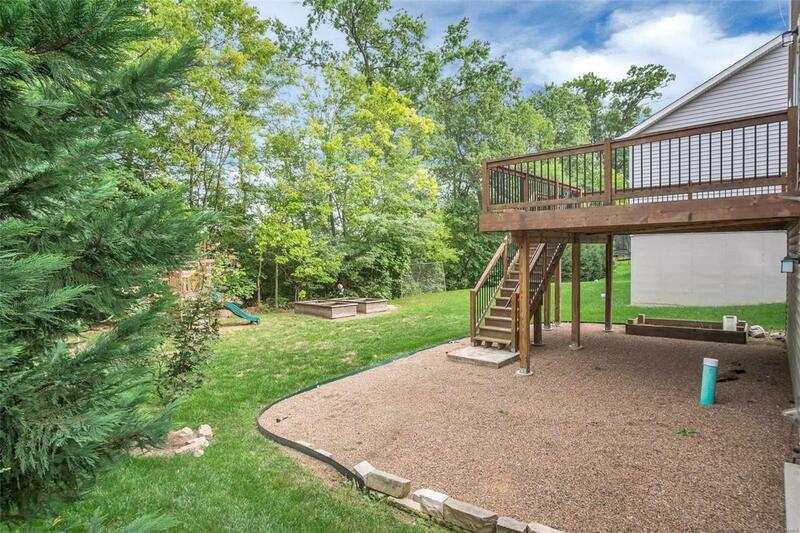 Located on a Quiet Street and backs to a WOODED LOT! This floor plan has 9' ceilings, newer carpet and hardwood floors, new light fixtures, GreatRoom w/ gas fireplace and window wall, Formal dining room & Kitchen is perfect for entertaining w/ 42" espresso cabinets, tile backsplash, center island w/ breakfast bar, pantry & breakfast room leads to a 20x15 deck overlooking private wooded back yard! 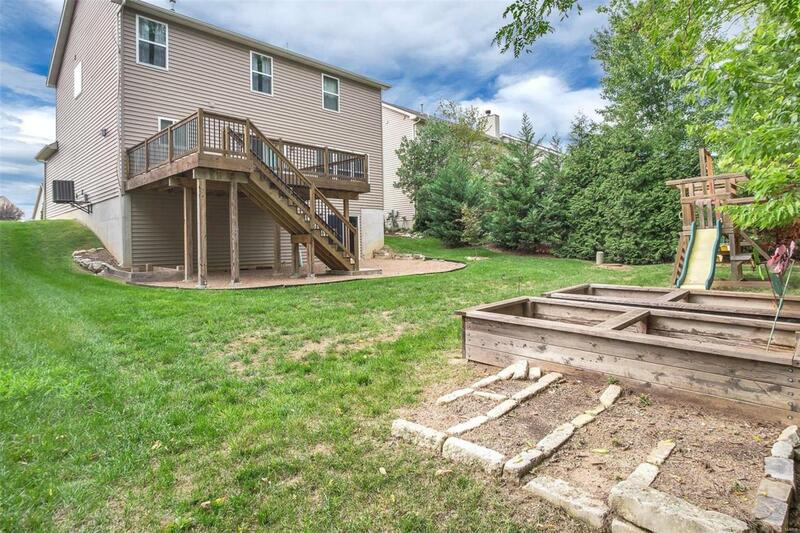 Upstairs youll find a large master bdrm w/ walk-in closet, master bath w/ soaking tub and separate shower. Two additional large bdrms w/ walk-n closets. The upstairs loft can easily be finished off for a 4th bedroom. The unfinished walk-out LL is roughed in for a full bath & waiting your finishing touches! Terrific location, off Page Extension & HWY 40, Incredible neighborhood with a large subdivision pool, 3 playgrounds, tennis courts, basketball courts, and planned social events for the whole family!